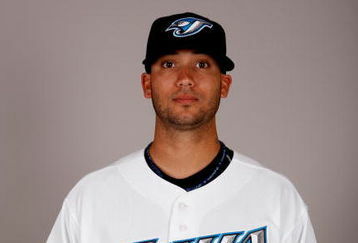 According to MLB.com, the Rays have signed former #1 overall pick Matt Bush to a minor league contract. Bush was the first pick of the 2004 draft as a shortstop, but has struggled throughout his career with injuries and off the field issues. He was converted to a pitcher during the 2007 season by the Padres. Bush spent last spring training with the Toronto Blue Jays but was cut before the season started for violating their zero-tolerance behavior policy. Bush is an intriguing signing. He has the stuff to be a solid pitcher, with a fastball that reaches 96mph. However, he has struggled to stay healthy, and hasn't thrown in an official game since the 2007 season. He missed the 2008 season with an elbow injury, and was out of baseball in 2009. He will report to minor league camp with the rest of the pitchers and catchers on March 5th. Here are Bush's minor league pitching numbers thus far. Provided by Baseball-Reference.com: View Original Table Generated 1/30/2010. Will he be a pitcher or a hitter(I think he can hit well if he is given the chance)? If he becomes good, can any other team sign him next year? Where will he start next year? Will he be relief or starter? He was signed as a pitcher, and with his history he'll almost have to start as a reliever. It would take a while to build him up to starting. The only hitting he's done lately has led to arrests. Spring training will sort out where he starts, I'd guess Charlotte. Kind of an odd signing. The Rays have gone to great lengths to rid themselves of troublemakers lately: Dukes, Young, etc. Why bring him on board? And Maniac29, just create a gmail account. Then when you comment, at the bottom where it says COMMENT AS: pick your google account from the drop-down list. It's easy. "The only hitting he's done lately has led to arrests." = Absolutely priceless. Interesting signing. I'd assume he'll start out in Bowling Green as a best case scenario. Glad you liked it GMc. I should have worked in his mastery of throwing lacrosse players and hitting curbs, all while yelling "I AM MATT ####### BUSH!!!" I should have been more specific about him ending up in Charlotte, that's a best case scenario. Given his background and lack of pitching experience, I would think they would want to keep him close to the complex. So I'm guessing: spring training -> extended spring training -> GCL Rays -> and depending how he's doing -> Stone Crabs. No inside info or anything, just seems to make sense to keep him in one place and evaluate his pitching. If he makes it to the Crabs pen I would consider this a success. I would agree with that. Originally I thought maybe Charlotte would be the place by season's end, but then I started to consider his lack of pitching experience as a whole and tabbed him a level down. Your point about keeping him close to home though could most definitely factor in. It'll be interesting to see how this plays out.